You'll be £19.99 closer to your next £10.00 credit when you purchase Dangerous Frontiers. What's this? Order within the next 4 hours, 40 minutes to get your order processed the next working day! Since the Second World War British soldiers have been continuously involved in small wars many of which, largely for political reasons, have received little or no publicity. Dangerous Frontiers is a gripping personal memoir of soldiering in two hot and hostile areas of the world. In Part 1 the author describes his life as a young officer in the Somaliland Scouts in the (then) British Protectorate of Somaliland. At that time tribal quarrels, generally over water, were taking place in the Ogaden, that troubled strip of country between the Protectorate and Ethiopia. It was the Scouts’ difficult task to keep the warring clansmen apart. His account gives a rare and vivid account of a nineteen-year-old in command of Somali troops in a fascinating and unpredictable country. The second and longer part of the book deals with the Author’s second period of service with Muslims a quarter of a century later. This time it is in Dhofar, the Southern Province of Oman, where he was commanding the Northern Frontier Regiment of the Sultan’s Armed Forces in a limited but fierce war against Communist insurgents. He describes, with great modesty, how the tide was turned against a brave and ruthless enemy fighting on their home ground among the savage wadis and cliffs of the jebel. 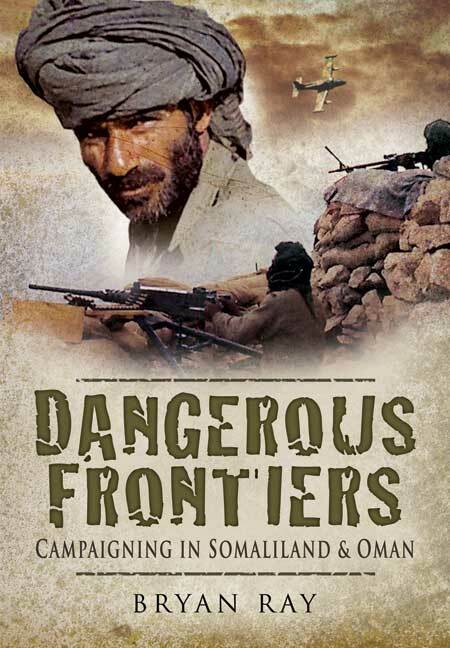 Dangerous Frontiers will appeal to a wide audience, including those interested in military history and in these two little known areas – the Horn of Africa and Southern Oman. The affection and respect that existed mutally between the handful of British officers and their Muslim soldiers stands out in both campaigns. This fascinating memoir is written with humour and a clear understanding of other cultures and throws new light on little known conflicts that took place before the advent of 24 hour news coverage. The author enjoyed two postings to foreign armies during his military career; as a second lieutenant in Somalia and as a lieutenant colonel in Oman. Subsequently, this book is an interesting window into the end of the British Empire. Reflections of operation in Oman are of relevance today, being concerned with the flight against the Communist terrorists attempting to overthrow the Sultan. Time may have moved on but the tactics are recognisable. An engaging account of the British working with Muslim Soldiers to defeat a common foe. How can i do justice to this splendid book....It's an ideal read for soldiers, those interested in soldiering or even those who love Henty....his is a wonderful story, briliiantly told...Bryan Ray gives us a timely remainder of who we British are. Buy it: you'll thank me. Colonel Bryan Ray MBE is now retired and living near Shepton Mallet, Somerset. He was decorated by the Sultan of Oman for his command of the Northern Frontier Regiment.